Recorded Sunday, December 30, 2012. 31:26 – A Sunday talk from The Center for Spiritual Living North Jersey by Rev. Joel Fotinos. Beginnings and endings are two sides of the same spiritual coin. Our awareness will determine how we choose to look back at the year we have just experienced, and will also determine how we envision the year we are entering in to. Join Rev. Joel as he discusses bringing the current year to a close consciously, and then creating your New Year with higher vision. Recorded Sunday, September 23, 2012. 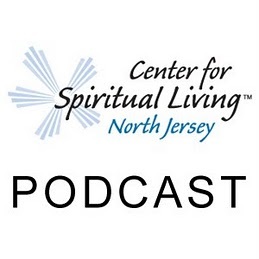 29:52 – A Sunday talk from The Center for Spiritual Living North Jersey by Rev. Joel Fotinos. There is within each of us a purpose and a plan. The more we get in alignment with our highest purpose, the More we will feel in rhythm with the rhythm of Life. Join Rev. Joel as he gives inspiration to uncover and discover our greatness within.